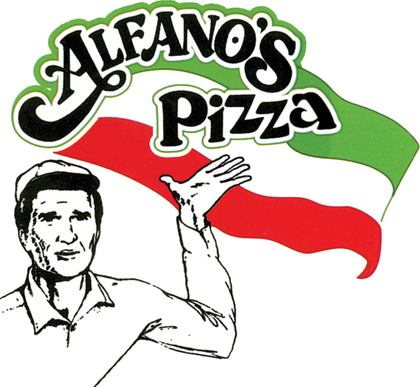 Since we opened our doors in 1999, Alfano’s Pizza has been serving Knoxville’s only authentic Italian pizza. We make everything—dough, sauce, and bread—from scratch, using only the finest ingredients. We also offer more than 30 fresh toppings for that perfect, custom pie that our patrons really love. 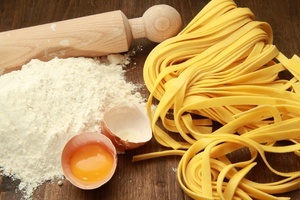 At Alfano’s, we also serve delicious pasta, including: spaghetti, lasagna, tortellini, manicotti, and more. For something simpler, try one of Alfano’s mouthwatering sandwiches. All of them are served on homemade bread, and can be paired with the biggest, freshest salads in town. Dining here, you’ll also enjoy our casual and friendly neighborhood atmosphere. Dine-in, carry-out, and delivery are available. Great pizza—and so much more! 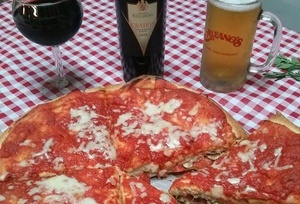 Alfano’s Pizza makes the area's best pizza—and so much more. 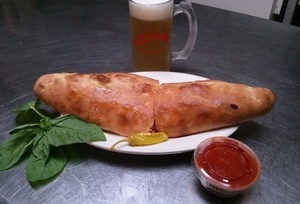 Our menu includes pasta, salads, sandwiches, dinners, chicken, veal, breadsticks, and other outstanding selections. Drop by Alfano’s and check out our specials. Currently, we’re offering all-you-can-eat pasta with breadsticks and salad for just $6.95 plus tax—all day, every day. Alfano’s Pizza has been serving Knoxville’s only authentic Italian pizza since owner Pete Alfano opened the restaurant in 1999. © 2019 Alfano's Pizza. All Rights Reserved.